Hejhej! My name is Tobias Uebbing. I just received my Master of Science degree in Human Media Interaction from the University of Twente. Precendently I graduated from the Bachelor of Science program in Creative Technology at the same university. Technology forms an important part in my life. Whether I use technology myself to create content or whether I develop new applications and interaction concepts. Technology can be such an enriching component in everyday life. For this reason, it became clear to me during my Bachelor studies that I will aspire to increase the accessibility and benefit of technology for everybody in society in my future profession. 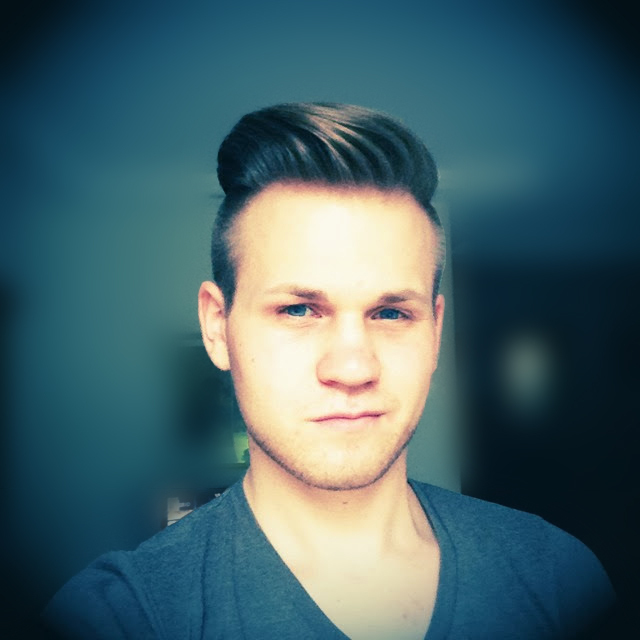 In the last years I worked on several projects concerning Child Computer Interaction. For my Bachelor thesis I concentrated on how interaction technologies can foster children's creativity. I decided to approach this topic by means of divergent thinking. 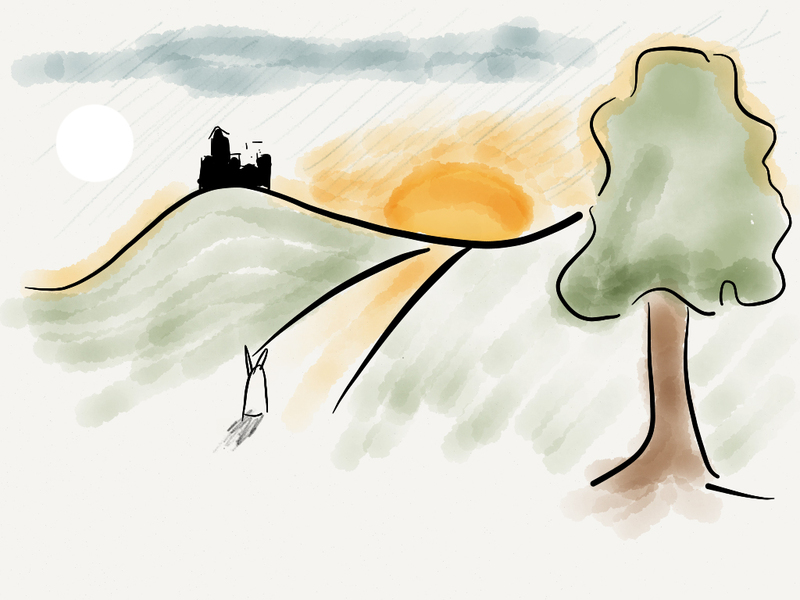 The final result was the Story Table, an interactive story telling application. The role of technology in the fostering and education is an important aspect that I am highly interested in. Another topic that caught my interest are Smart Environments and Intelligent Interfaces. Those adapt for example to its users habits or context to increase the simplicity and pleasantness of interaction. In the final project of my master studies I attempted to facilitate the prototyping of such Smart Environments. Since I am done with my studies I am now looking for opportunities to apply and increase my knowledge and gain new experiences. This could be within academia or industry and it would be fortunate if I could continue my work in the field of Smart Environments, the Internet of Things and related fields. Nevertheless, I am open for any interesting opportunity. In case you are interested in a cooperation or have a matching job opportunity, feel free to contact me via one of the communication channels below. 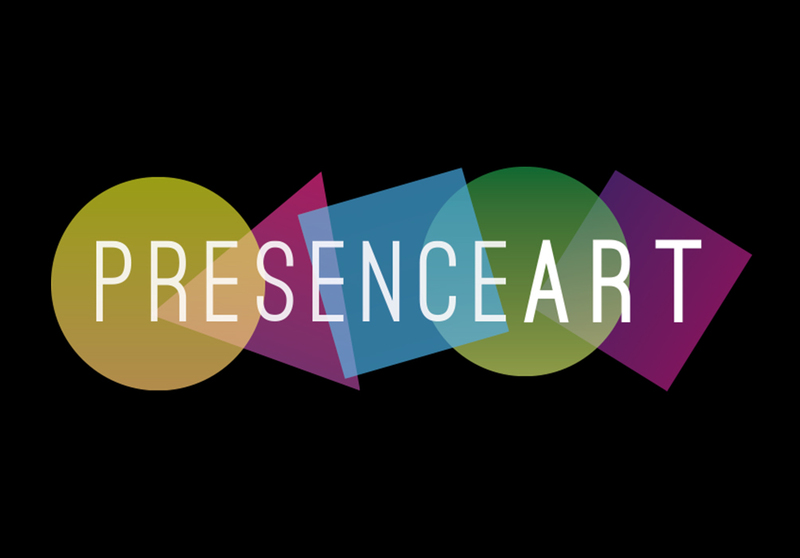 PresenceArt is an interactive art installation with multi-modal interaction. The system creates visualizations based on movements and clothing of the user and acoustical input from the environment. In short it provides the user with an artful representation of their presence. Higher aim of this project is to enable creative self expression. The application was designed in an iterative design process. The impact and effect of the art installation was evaluated in user tests in a real world setting. A small impression of the running installation is available on vimeo. Children's Information Retrieval Assistant - is a search engine GUI with a representative conversational agent that helps children to achieve better search results on the web. After entering an initial search query Cira analysis the search results. Depending on the analysis Cira proposes hypernyms, hyponyms and synonyms to achieve more, less or more precise results. 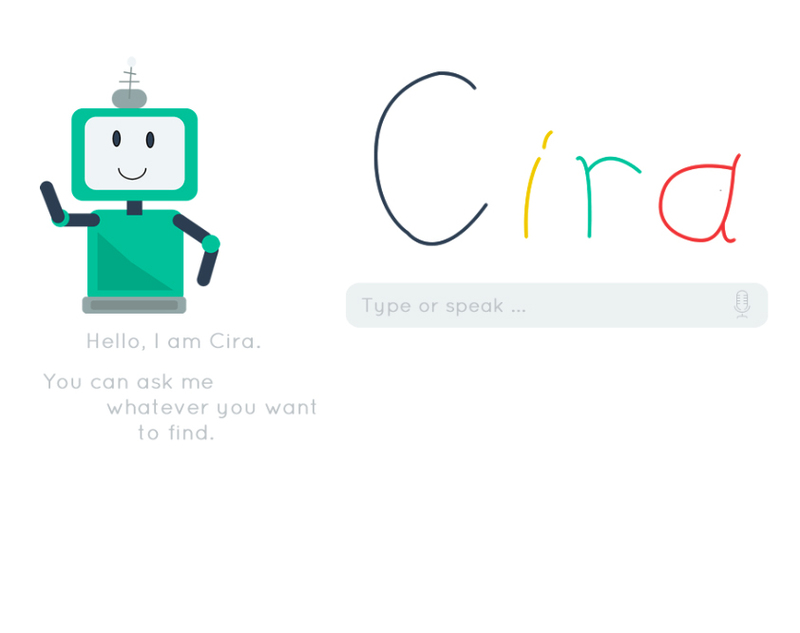 Cira can handle natural language as well as conventional search query syntax. This research project formed an initial start on the use of natural language queries and query formulation assistance for children. 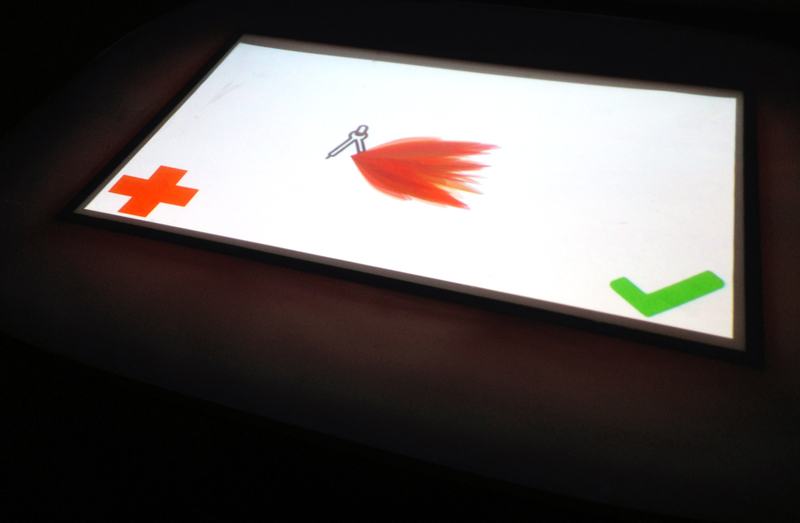 The Story Table is a touch table application designed for children, supporting interactive story telling. The story generation mode of the application provides randomly chosen story symbols from different domains including things like an ambulance, a tree, a space rocket or a hat. The children are encouraged to connect those symbols in a story. Nabazland is a concept for a mixed reality story playground for children. They can accompany a Nabaztag knight on the quest to find and rescue his princess. On his journey he encounters terrifying situations and tricky puzzles. The children need to interact with physical objects in order to help the NabazKnight. Those trigger pure virtual but also physical actions. For example we designed a plush Nabaztag that contains and Arduino micro controller, specific tailored cuddle intensity sensors and a strong vibe motor. In a terrifying situation the plush Nabaztag would start shaking. The kids could cuddle and calm it down. This makes our knight confident to defeat the evil characters. Intention of this interaction is to foster some emotional bonding with the characters by physical contact but furthermore also to comfort the child. van Wingerden, S., Uebbing, T. J., Jung, M. M., & Poel, M. (2014, November). A Neural Network Based Approach to Social Touch Classification. In Proceedings of the 2014 workshop on Emotion Recognition in the Wild Challenge and Workshop (pp. 7-12). ACM.